Welcome to the PledgeManager for Pot de Vin! These are uncertain times. there has been a power void since the coup. 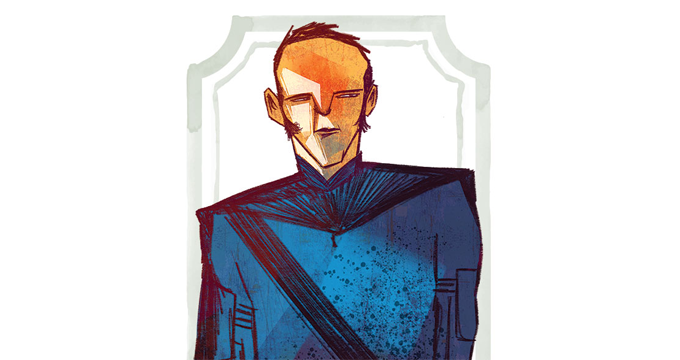 Everyone from the highest aristocrat to the lowliest gang boss strives to gain the support of the guilds. But to get this means bribery, skulduggery, and knowledge of the four most powerful and influential figures in the city. Knowing when to strike requires cunning and prudence. News travels fast and no guild wants to become infamous... unless of course they can profit from it! 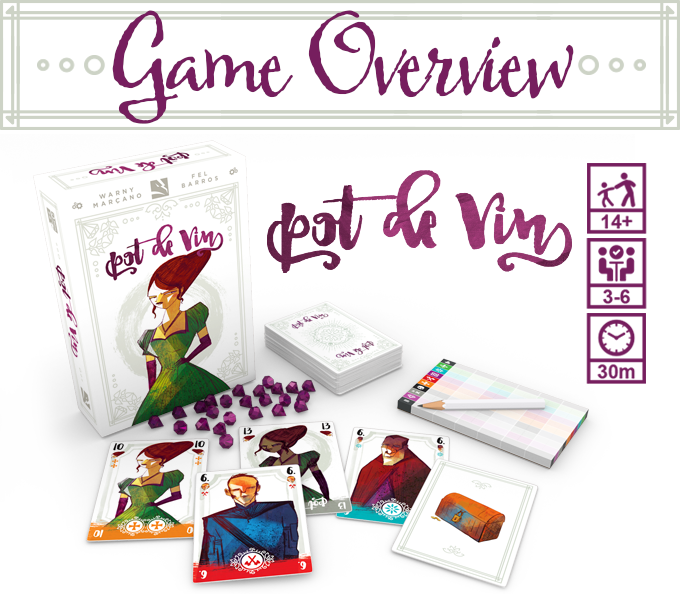 Pot de Vin is a 3 to 6 players trick taking game. 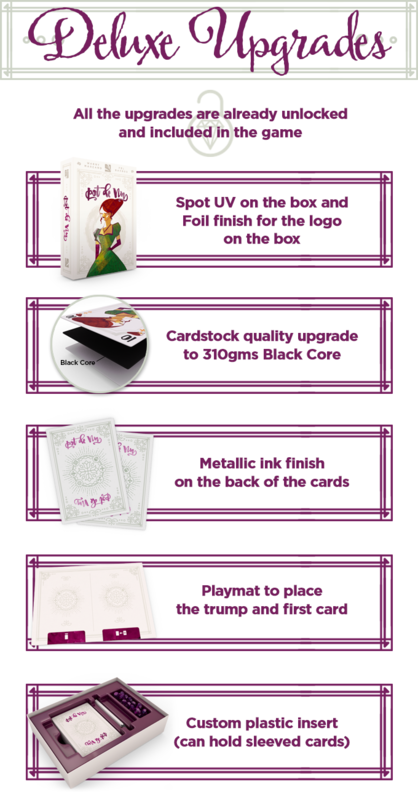 The goal is to collect sets of different Guild symbols by winning rounds and claiming the cards of your opponents. Gather the right amount of symbols to gain the most points, but be careful, if you gather too many you will get negative points unless of course you gather them all. Use wisely your Jokers that can be added to a Guild of your choice to increase your guild symbols and the bribe gems that you can use to pass the turn. Pot de Vin is all about bribe and influence. For all Spiel Essen and PAX Unplugged attendees, you can try to Bribe Enzo, the city guard, by offering anything that he might find interesting (even cookies!) to get the game for free! You can fill the following form and we will let you know if he likes what he sees. If your bribe gets accepted, bring it to the convention and we will exchange it for a free copy of the game! If you already purchased the game and the bribe gets accepted, you will be able to get one of our other games. To buy additional games choose your pre-order level and you will be automatically shown our other games so you can add them if you want to. 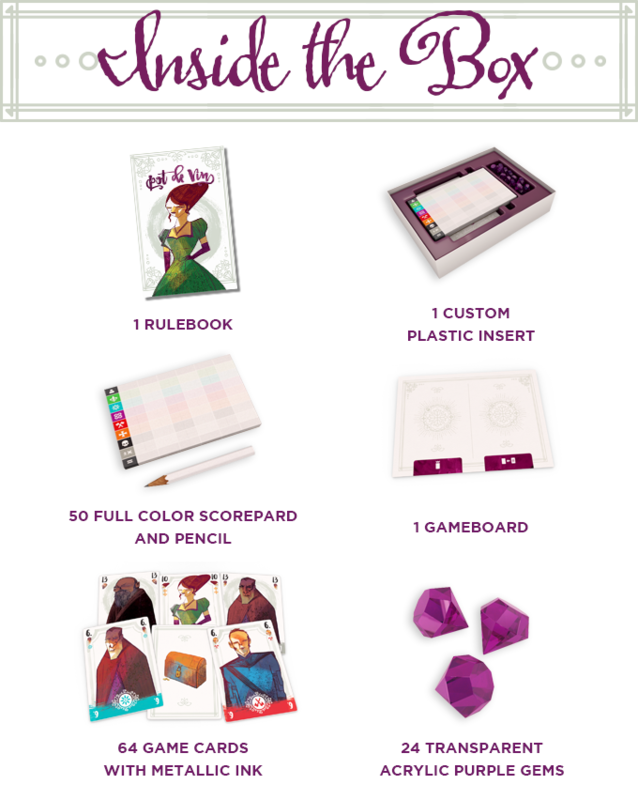 Pot de Vin comes with three different rulebooks: English, German and French. For the Spanish version, ask your friendly local store! 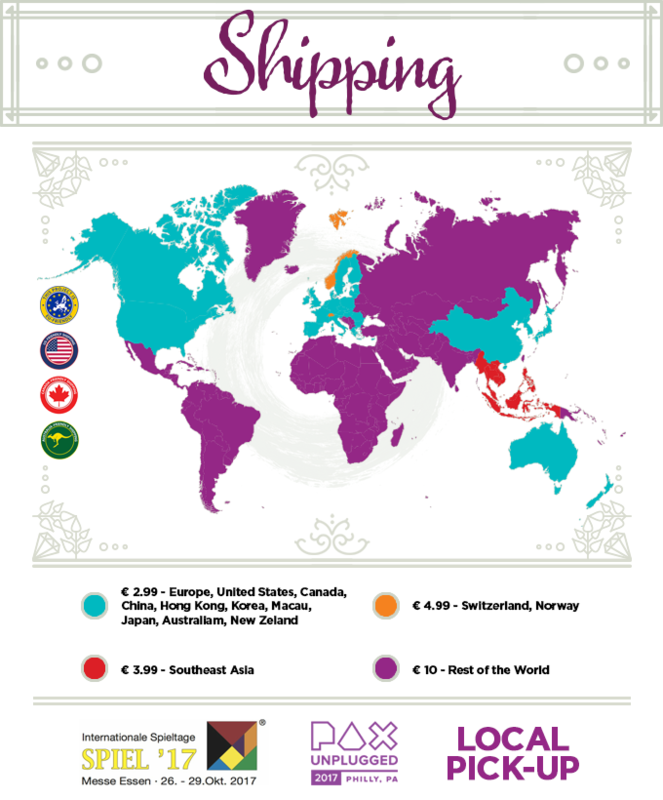 We are offering reliable and discounted shipping to all the countries. If you add any other of our games to your order you won?t have to pay extra shipping! 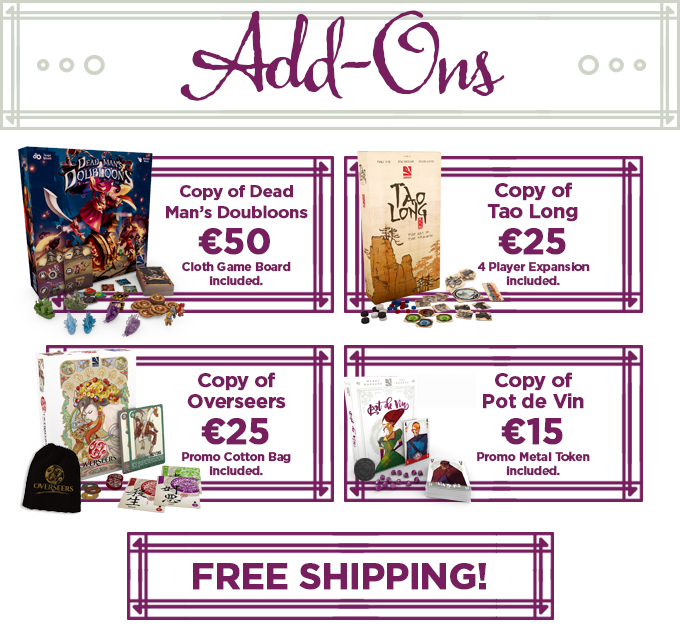 We will consolidate your pledge for Dead Man's Doubloons and Pot de Vin in the same box so you can save on shipping.